A 4th of July Free the Weed Special! What’s this? A blog post on a Tuesday? Right in between my Doctor Frank fix on medical Mondays and lifestyle Wednesdays? What’s the special occasion, doc? Why, it’s the 4th of July, of course! The day we gained independence from the British Empire, as well as those pesky aliens blowing up the world’s monuments a few hundred years later. It’s also the day to break out the best BBQ recipes, buds and fireworks you can lay your hands upon, so feast on and have as much fun as you can on this most awesome of days! 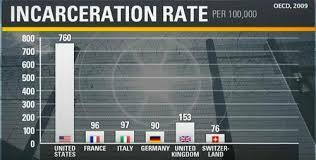 The U.S.’s addiction to incarceration. Of a total of 94,678 sentenced drug offenders, 11,533 (12.4%) were marijuana-related offences. The table on p.2 counts 93,000, as 1,678 were offenders with missing primary drug types. 44.3% of marijuana offenders are put under Category 1, meaning that they had no previous imprisonment and minimal criminal history (p. 4). In about 15.2% cases of marijuana sentencing, there was gun involvement in the offense (p.5). The mean length of sentencing imposed for marijuana offences is about 88 months, the median 60 months (p. 6). Crack cocaine offenders seem to have the most extensive criminal histories (p.5). The illegal substances that seem to be blighting the communities of America with the most violence, death & addiction are crack & powder cocaine, methamphetamine and heroin. Page 3 of this report paints an interesting picture, as it shows that the War on Drugs in general is not necessarily wholly race-related, although the War on Weed specifically seems to affect Hispanic/Latino people and a significant number of non-US citizens most. Different types of drugs are wreaking havoc in different communities in similar ways. Where crack cocaine affects cities and predominantly African-American youth, crystal meth seems to affect predominantly caucasian communities in mountain towns and cities in the middle of the U.S. The damage wrought by legal substances like alcohol, tobacco and prescription drugs – and how they feed into the development, trade and use of illicit substances – would perhaps make an interesting comparison point, but that’s probably a post for another time! When it comes to drug offences, violent or not, it seems the worst person to be standing in front of a judge or jury is an adult male aged 20 or over, with a slightly greater chance of getting a prison sentence if you bear a tan as well. Males are also more likely to receive a harsher sentence for the same crime in comparison to females, even when controlling for criminal histories and type & severity of offence. Whilst these are issues beyond the scope of this blog, there can be no doubt that at least some of this systemic and harsh treatment of males feeds into the atrociously high rates of homelessness and suicide they face. Interestingly enough, this is also a massive issue for veterans, many of whom also tend to find themselves “drinking and drugging away the pain” with alcohol, benzodiazepines and barbiturates in areas of high unemployment. How many veterans get into a cycle of addiction and end up in jail? How many of those who are fighting for our freedoms end up losing their own? For all the promotion of women CEOs and other positions of power & influence in the marijuana industry – positions of relative power, privilege & prestige, where arrests are less likely to happen, unless the state decides to make an example out of you – it seems that, when it comes to those facing the prison system and the poverty and disenfranchisement that can often precede and follow a sentence, the War on Weed and drugs in general was and is very much a men’s issue. The effect the War on Weed has on men and the families they help raise is a cost that has an astronomical price. The educational attainment and mental health problems found in fatherless homes is a much-relegated issue, especially when these fathers are going into prison as non-violent marijuana offenders and sometimes coming out as hardened opioid addicts and career criminals. Shamefully, it’s deemed politically incorrect to point this sort of thing out, and it definitely does seem that many are “willingly blind” to these issues. Neither the left nor the right seems to be looking too closely at these issues, perhaps because pet theories, a prison system with a profit structure promoting hugely perverse incentives and bad academics have narratives full of lies, distortions and just-world fallacies (“the men must have done something to deserve it”) to hold onto. We can’t go losing those cushy state-, corporate welfare- and “feel good” money- funded jobs now, can we? Criminalizing men is an easy way to make easy money, and both the legal system and the media know this. Maybe if we want this wonderful plant legalized and see fewer arrests, we need more women in the world of weed, perhaps even close to making up 100% of the industry? The state doesn’t seem to like punishing the ladies, and having women take over the world of weed would mean a dramatic decrease in the number of arrests and sentences being passed out. So get to it, girls of America (and the world)! Become warriors and protect your men! They need your help! Will Cannabis Become Federally Legal Any Time Soon? This is a bottle from 1906, once found in U.S. pharmacies everywhere. With Trump and co. in power, who knows? We should remember the stats above, though, which show that there was a vast increase in the number of people sent to prison for marijuana offences over both George Bush, Jr.’s and Barack Obama’s terms. To split this as a party-political issue on the federal level is too simplistic, although on a state level, it seems Democrat-leaning states are more likely to legalize cannabis. However, we are sure that there are many socially-liberal, right-leaning voters who might “hold their nose” on this issue, voting for the sake of party allegiance rather than personal feelings. There are probably some Republican governers like Arnold Schwarzenegger who definitely fall into this sort of camp, although we can only be sure of this by asking him! Whilst this might be the placebo effect in some cases, many doctors and scientists are agreeing when looking at the success stories and lab test results on the positive health effects and disease-fighting/controlling ability of marijuana’s cannabinoids and terpenoids. Denying people medicine and going against what the science & data shows is not a good look, no matter what political party a person adheres to. So, why would this federal-state split arise? Part of the reason could be that, even if every state were to legalize cannabis, there would still be a large enough part of the electorate who would prefer to see cannabis remain illegal – remember those with jobs to lose from above? Votes are important at election time, and politicians like many others will put on public faces even with policies they might not agree with in private. Another part of the reason why this schism between state and federal policy could arise – and perhaps a slightly more sinister one at that – is the idea that the U.S. government wants to retain control of medical marijuana. We’ve already seen in Nevada a judge ruling recreational distribution channels to be controlled by alcohol companies, much to the consternation of many. We also know that the U.S. government has a patent on cannabidiol (CBD). Marijuana is clearly big business, and it’s clear to many that the state wants to keep control of it. Big pharma, big alcohol and big tobacco won’t let such a large revenue stream slip through their fingers, and they’ll use whatever power and influence they have to leverage the U.S. government and ensure whatever legislation they write suits them best. For many Americans, this poses a fundamental existential question: is this free-market capitalism and freedom, or special-interest cronyism? What Will the Rest of 2017 Bring with Regards to Cannabis Legalization? 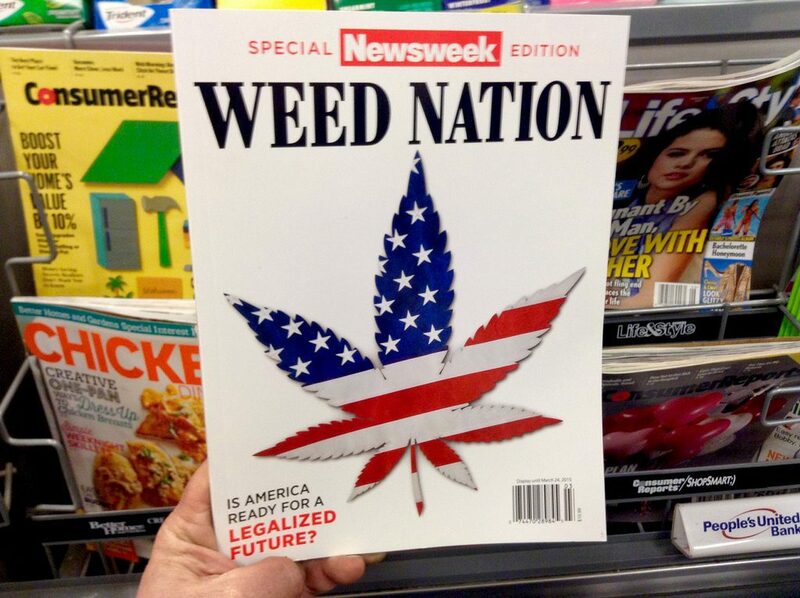 Millions of voters seem to want a Weed Nation. So yes, we are ready for a legalized future, though it’ll require decent laws in place! We see more and more evidence coming through about cannabis’s efficacy for the treating of various conditions. We see medical marijuana slowly replacing and/or reducing the need for benzodiazepines, barbiturates and opioids being prescribed at the moment. We also see a massive move towards the legalization of recreational marijuana in many other states, especially when they see the amount of tax revenue raised by states making recreational marijuana legal. “Critical mass” (the sociodynamic phenomenon, not the weed strain!) is probably a few years away yet; but when it does reach in the United States, expect there to be a massive domino effect, with countries the world over doing the same and legalizing marijuana themselves. The market’s too big an opportunity for other countries to miss out on and, for better or for worse, money talks! 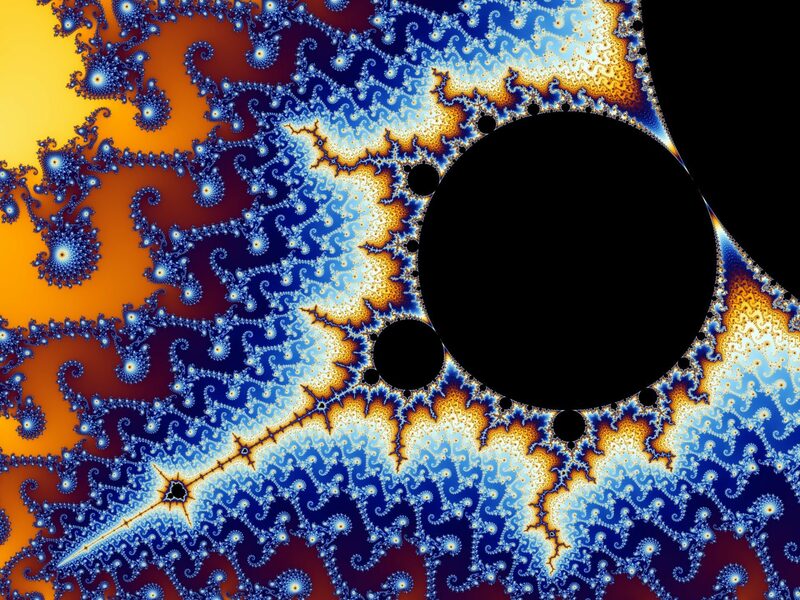 A Mandelbrot set we are using as a metaphor for the sociodynamic phenomenon known as “critical mass”! Phew … ! That is all for this special 4th of July blog post. We hope we’ve given you some things to think about, especially as some of these questions and issues are so vital to our understanding of what the U.S. is and what it stands for. Who knew cannabis could help us explore the psyche and spirit of the U.S. political, judicial and economic system as a whole! ?